Wordcloud of some available .travel domain names. Listed below: 1000+ available .travel domain names. So you want to put up a new travel website. Maybe you’re a startup hoping to build the next Hipmunk or AirBNB. Maybe you write about travel-tech, like Tnooz or Skift. Maybe you’re creating the next great inspirational travel blog. Maybe you own a boutique travel agency or manage tourism outreach for your local chamber of commerce and want to put up a new site. You’ll want to brand your new travel site with a great domain name. As I recently wrote, this can be a challenge in the realm of dot.com top level domains. If you look at the names of the sites I’ve linked to above, you’ll note that none of them are simple dictionary words. 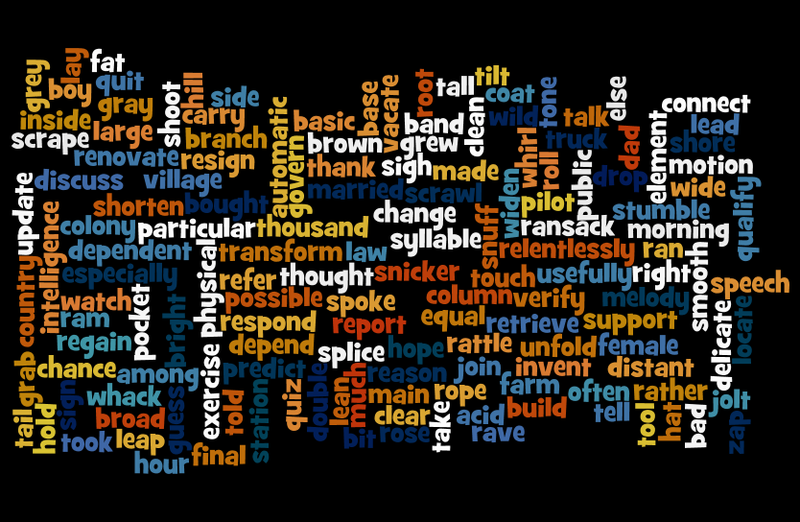 Most combinations of a commons dictionary words + “.com” were registered years ago. Because of this, I had to go to a lot of effort to choose my .com domain name a while back. However, I recently discovered that thousands of commonly used English words are available for use in the .travel domain. .Travel registrants must certify that they are active participants in a travel industry segment by filling out a form at website Travel.Travel. .Travel domain registrations are significantly more expensive than traditional top level domain registrations. The cheapest I found was for $90 per year. Point (1) is easy to accomplish in practice if you can provide a URL to an existing travel website. I entered my site name into the certification form at Travel.Travel, and received a Unique Identifying Number (UIN) certifying my eligibility to register a .travel domain within minutes. If you are serious about developing your online travel presence, you should actually be happy about point (2). It mitigates against the wholesale registration of and speculation in .travel domain names. As you can see from the list of available .travel names I have compiled, there are tons of great unregistered .travel names available. The asking price for similar names in .com domain resale market can be in the tens of thousands of dollars. 1: Apply for a UIN at Travel.Travel, the website of Tralliance Corporation, which manages the .travel domain. The UIN certifies that you are eligible to register a .travel domain. 2: Check the website of an authorized .travel domain registrar for available .travel names and submit your domain name request along with your UIN number. I’ll use my own experience as an example of how to do this. I reviewed the list of authorized .travel domain registrars at Travel.Travel and compared their offerings and pricing. Some of them are quite expensive—in the hundreds of dollars per year. However, I found that Gandi.net, a French registrar I was already familiar with, is offering .travel domains for $90 per year. I ended up using Gandi. Although I provided my UIN to prove that I was eligible to register a .travel name, Gandi emailed me to double-check my eligibility. They asked me to forward my confirmation email from Tralliance before they would register my domain. I had a few more exchanges with Gandi before I finalized my registration. All their support is via email and I generally only got one response per day, presumably due to time zone differences. For my purposes this was fine. Gandi was competent and their price was much better than any alternative I found. I don’t have any hesitation in recommending Gandi.net but if you want to use them, just be aware that you might experience the same 24 hour communications loop I dealt with. I compiled a list of 1,275 common English words from various sites around the net by conducting web searches for top English nouns, verbs, adjectives and vocabulary words. I de-duped and alphabetized the list and then ran it through the search form on the home page at Gandi.net. A bit of copy-paste and formatting later, I had a list of domains and availability. I later found out that there are 1098 reserved names that are not available for registration. Unfortunately, many of these 1098 names will show up as available in a domain search. I added all these names to my list and marked them as unavailable. In the end, I found a lot of cool names which I’m sharing here for the convenience of TravelTekker readers. I sorted the list to show all the available names first followed by the unavailable registered or reserved name. I removed all 1 and 2 character words (1 and 2 character names are issued by special auctions rather than through a registrar). Finally I removed some names that just weren’t socially acceptable and ended up with a total of 2426 names, of which 1059 were available for registration as of October 1st 2012.